Having looked at the style of playing electric slide, with the left hand damping behind the slide, you can now move on to playing lead slide in any key. The damping of the strings makes the instrument less "active" making it less likely that notes you don't want will come out. 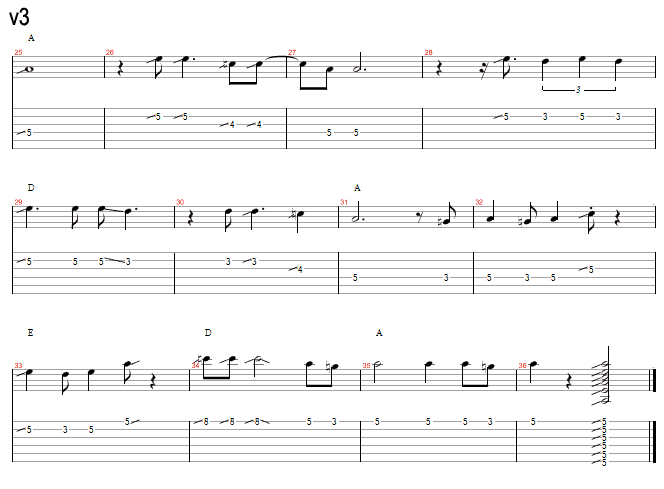 In the video I am playing in the key of A but with the guitar tuned to E major ( as in the last lesson ). As long as you're fairly well up on your fretboard positions in normal guitar tuning this isn't too difficult. In this key the three main chords are A, D and E.
Barre chords ( rooted on the bottom string ) for these 3 in normal tuning are at frets 5, 10 and 12 respectively. In E major tuning you can place your slide at these same fret positions to get the main positions that are normally found at the open, 5th and 7th - in other words the 5th fret becomes the root position. In this tune ~ Improvisation over a 12 bar in A ~ I'm trying to get a minor blues sound from the slide - unlike the last lesson which was more major sounding - to achieve this I'm effectively using an A Pentatonic scale. 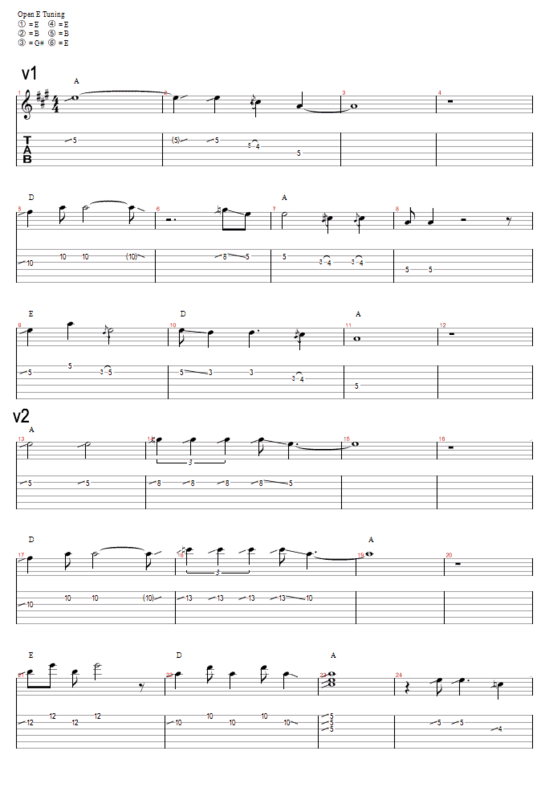 Scroll down to see the diagram for the notes I use around the 5th fret - root notes in red. The notes I use other than the ones in the diagram are at the 10th fret position ( D chord ) or the 12th fret position ( E chord ).